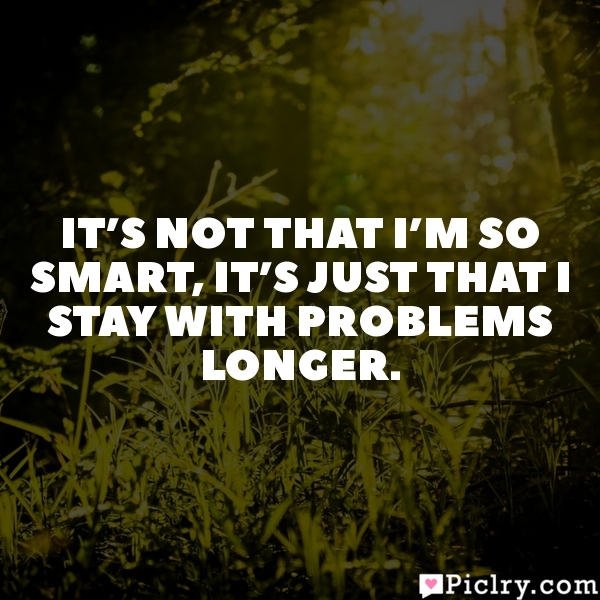 Meaning of It's not that I'm so smart, it's just that I stay with problems longer. Meaning of It’s not that I’m so smart, it’s just that I stay with problems longer. Quote by Albert Einstein. Keep doing what you’ve been doing and you will keep getting what you’ve been getting!